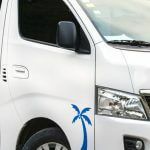 Tropical Tours Shuttles: from SJO San Jose Airport to Santa Teresa we offer daily shared shuttle bus services and private minibus transportation. 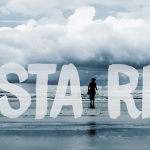 Price ranges to Santa Teresa beach starting at: $50 per person on shared shuttles departing at 06:00am, 08:00am and 02:30pm. $240 per trip for a private minibus. 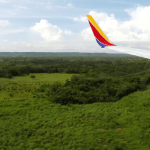 It’s a 5 hour ride from San Jose Airport SJO Terminal in Costa Rica to Santa Teresa beach in Puntarenas, Costa Rica. Always on time and fair prices. Friends enjoyed the ferry experience. The driver was at SJO waiting. 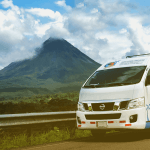 Best shuttle company in Costa Rica! Always on time, best shuttles with air conditioner, good drivers and good vibes! Have tried other companies and Tropical Tours is honestly the best. Excellent service! 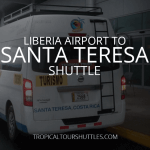 We used the private shuttle services for our long journey from San Jose airport to Santa Teresa and our driver made it easy! He gave us great travel trips and made us feel very safe. 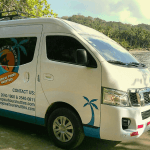 Would recommend tropical tours to anyone looking for a reliable and efficient shuttle service, no matter how long the journey! 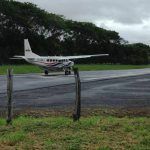 Great service for those not interested in taking a puddle jumper flight to difficult to reach areas of Costa Rica. We did a full-ferry service private van for 4, round trip from San Jose to Santa Teresa. The ferry was actually pleasant and scenic, and our driver stopped on the way to the ferry from SJO at a great local restaurant for a delicious authentic lunch. Only complaint/warning would be that the driving once you get closer to Santa Teresa is not for the faint of heart — terrible road conditions, lots of dangerous feeling car passing, and poor/no lighting after dark. I’d encourage as early of a ride as possible to avoid driving after dark, which felt more nerve-wracking than the same trip back in the daylight. I think this is just part of the normal CR driving culture, but doesn’t make it any less scary for those unfamiliar with it. But overall a very positive experience that was easy to coordinate. 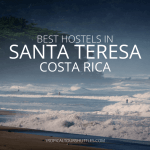 I Had a really pleasant experience getting from San Jose to Santa Teresa. I got picked up straight from the airport at the estimated time. The drivers were very friendly and helpful. I would definetely recommend TTS if You are looking for a comfortable and quick Journey! Juan and Tropical Tours saved our vacation. They were patient and understanding when our flights were bumped around and cancelled. When we arrived in San Jose we were received by our driver Luis with a smile. With a tropical storm moving in we enjoyed a peaceful drive to our destination near Santa Teresa. We hadn’t eaten much at all that day so Tropical Tours made brief stops at an ATM and grocery store for us. Our vacation was nearly ruined but JC (Juan) and the team brought us to paradise! We would definitely book with them again! 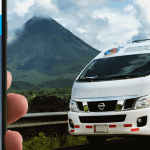 Our door to door minibus shuttle service will take you safe and directly from San Jose International Airport Airport SJO Terminal to Santa Teresa beach, Costa Rica.